Thinking about getting an MRI? Since its inception some thirty years ago, Magnetic Resonance Imaging, or MRI, has become so commonplace a diagnostic tool that we have collectively tended to assume that it must be a safe, harmless, non-invasive way of looking into our bodies to prevent the development of a health issue that may, after all, threaten our lives. But how non-invasive is MRI, and what health risks may lurk unaggregated and, therefore unreported owing to the lack of long-term follow-up and analysis of data for those who have experienced the MRI procedure? Today, MRI is practiced as a logical first-step in diagnosing potentially life-threatening illnesses and disease mostly as a result of its convenience (to the benefit of our physicians) and, at least of tantamount importance, as a result of its highly profitable operation on the part of America’s Healthcare providers – hospitals, clinics, and for-profit diagnostic and imaging centers. MRI is so commonplace even chiropractors refer potential patients. As a result, today in the United States, more than 40,000 MRI procedures are conducted annually at an aggregate cost, given machine use, physician, technician and related hospital charges of perhaps more than $100 billion. And, the procedure is growing rapidly in popularity resulting in the opening of Strip Mall MRI centers where discounted “readings” may be made. In short, MRIs make a lot of money for a lot of Healthcare professionals, non-medical business investors, and Healthcare administrators. Yet, how non-invasive is MRI and how safe is it in reality? Interestingly, most people who subject themselves to the process know nothing of how it operates. If they did, they might give it more than a second thought before acquiescing. My interest in MRI stems from an expansive pursuit of Quantum Physics beginning some years ago, and driven by the vagueness and mystery of the subject overall. As I explored the rudimentary function of MRI I was struck by the fundamental way MRI interacted with the body on a quantum (or very, very small, sub-atomic) level, altering (albeit allegedly) temporarily the basic characteristics of the protons comprising the hydrogen atoms of the human body: Basically what we are, organically. The person to be scanned is placed in a “bore” or the tunnel of the MRI machine around which are very powerful magnets. So powerful in fact, that even at their lowest level of operation (1.5 Tesla or 15,000 Gauss) they are equivalent to 21,000 times the magnetic field of the earth. From there, depending on the segment of body being read, and the density (obesity and section) of the person, the field is increased to as much as about 8 Tesla, or more than 100,000 times the earth’s magnetic field strength. The second feature of the MRI is a Radio Frequency (RF) transmitter rated at 25,000 Watts of power, with induced RF ranging from a fraction of one watt to many watts per kilogram (“Kg” about 2.2 US pounds) of weight, once again depending on MRI computed variable needs. Specific Absorption Rate (SAR) is the standardized measurement for how much heat the average human being can absorb and dissipate. SAR levels are: 4.0 watts per Kg per 15 minutes of whole body exposure; 3.0 watts per 10 minutes for exposure to the head or 8.0 watts per five minutes per gram of tissue in head or torso; and 12.0 watts for five minutes per gram of tissue in extremities. That’s the maximum believed to be the greatest heating exposure the body may absorb, and then safely dissipate. What happens if the heat is not dissipated successfully and quickly? Well, what happens when you put a hot dog in the microwave? On a quantum level we know just enough in physics to make some things work as they are postulated to do. We may even know, to some extent, why they operate as they do, but beyond that we have no real idea why many things happen as they do, because much of what happens on a quantum level is based on the characteristics of particles even smaller than those we have successfully resolved through mathematics and/or observation. That’s part of what makes the field so interesting. As an example, in an MRI procedure protons comprising the vast amount of hydrogen in your body are manipulated. Each proton inside you has a specific “Spin” or polarity. It’s like a child’s top, but they don’t actually spin: it’s a term applied to the issue of polarity only, so don’t imagine that there are billions of spinning tops inside of you on which their continued spinning your life depends. In MRI the polarity of these billions of protons are aligned through the use of the very large magnetic force described above. Then, a fairly powerful RF is introduced and subsequently, each proton as it resumes its prior Spin or polarity within your body gives off a photon – a unit of light, energy, like the photons from the sun. These are in turn captured and an image is generated. This is one of the several issues I find troublesome. It is the equivalent of the process of forced Decay on an atomic level, dissipating whatever the inherent capability of energy may be within that specific hydrogen atom. And, while it’s true that by hydration we exchange some or most of the body’s hydrogen with “new” not all hydrogen is cycled out of the body and replaced. Some are molecularly bonded to other components. The danger? 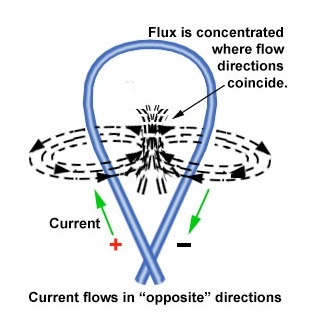 Looped Conductors may intensify both the RF and Magnetic effects beyond the controlled level introduced. In other words, the MRI machine introduces both RF and Magnetic properties in a small region of the body that, as a result of Looped Conductance, produce greater effects than intended. Easy enough in the MRI process to insure that arms and legs are not crossed. What’s not so easy is what’s inside the body that cannot be subject to manipulation. Without much in the way of an anatomy background, can you image a configuration or two (or many) that might mimic that of the above? Arteries, veins, intestines, and the arrangement of our organs’ tissues coincide to the arrangement of a Looped Conductor. In America today, according to http://Cancer.gov, “From 2000-2009, incidence rates decreased for five of the 17 most common cancers among men…(but) rates increased among men for six cancers (kidney, pancreas, liver…) during the same time period.” Emphasis ours. Virtually the same holds true for women, as well. Kidney, Pancreas, Liver…all organs which internally represent naturally configured Looped Conductors, intensifying the effects of the RF (and Magnetic forces) beyond an acceptable level SAR. Potentially, this is the problem. Too little is known about MRI’s actual effects on the human body with respect to the individual organs and their configurations: More ought to have been done in advance of introducing what is now a runaway technology. Given the trend toward MRI, are upticks in the occurrence of cancer in these specific organs indications of problems inherent within the MRI procedure? Beyond that, are other data amassed by the Healthcare industry not being completely interpreted to trace the true causes of health issues resulting from MRI seeking to not jeopardize this valuable and profitable diagnostic tool? Too much money is at stake to allow its continued use and growth to be jeopardized without absolutely irrefutable proof: Medical Device manufacturers, Healthcare providers, physicians and clinicians, entrepreneurs in the popularized use of MRI. In short, too many people stand to gain too much…potentially at the risk of your life. When one considers the capabilities of MRI it seems too good to be true. Let’s hope it’s not. Make an informed decision before jumping into the bore of a large caliber MRI and ask yourself this question, Is this procedure really necessary?